Thank you for the excellent service and the promptness and friendliness of your drivers. Hi Pedro. Would just like to say what a fantastic service both ways, stress and hassle free! Edward was excellent, friendly, polite and very professional and is a credit to your company. I am a taxi driver back home and can fully appreciate what the job entails and will definitely recommend your services to any that will be visiting the Algarve. Please thank Edward once again. Thanks for everything, the car and driver were great. Will be back next year so keep in touch Regards. This was the first time I had booked an overseas taxi on-line and you provided a first class service that I would recommend. I am writing to thank you and your company for the excellent service we received both on arrival in Faro and on being collected to return to the airport. 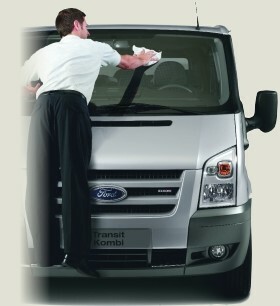 The vehicles were on time and spotlessly clean. Both drivers were most courteous and helpful which we very much appreciated and gave us a good start and finish to our holiday. The company has always responded most promptly to my e-mails and i will have no hesitation in recommending you to anybody else I know visiting Faro and the Algarve. Just wanted to drop a mail to say thank you for the service last week, I have recommended you to all my friends as they go to portugal a lot. I myself will be back in September and will be booking again with faro taxis. Once again thank you and all the best for euro 2008 all of us have our fingers crossed for Portugal..
We used your service last October and we found your driver really helpful. We had a difficult address to find but he was very patient and would not give up until he found it. Your service is very efficient. I would like to take this opportunity to thank you for a great service you have given us this year. We have used faro taxi six times this year by our self and recommending you to family and friends using our apartment and we will continue to use your company in the future. Thank you for providing an excellent service both from and to airport/hotel. Hi, I would like to thank you for you service provided during our trip to Portugal. The transport was efficient and a superb price. Veru pleased, will definitely recommend you and use again in the future. I would just like to say a big 'Thank You' to you and your colleagues.The service you provide is impeccable. On both occasions the drivers were punctual and behaved in a professional manner. We will definitely avail of your services again next year and will recommend ye to our friends travelling to Faro. Boa Tarde, many thanks for a super service! We will definitely use your Company again and will recommend you to all our friends and colleagues! Just wanted to say thanks very much for efficient service last week (5th May Faro to Parque da Floresta, return on 12th May). Everything went really well and the two drivers we had were excellent. Many thanks for your prompt transfer, although our flight was delayed you didn't fail and waited patiently. Your slogan is really the most appropriate but allow me to suggest a minor change "Always on Time" ...and... "With a friendly welcome"
helpfull drivers we will definatly be using this service again this year. Just a line to say thank you for a smooth and efficient transfer to and from our destination in portugal,both drivers were pleasant and prompt.we will be returning to portugal next year and will definately be calling you again.regards. friends weekend, we had a fantastic time,and couldn't fault your service. once again thank you. Hello Nélia, I recently booked yourselves to transfer us to and from the Albufeira Jardim. I meant to write on our return to thank you and your staff for what we felt was excellent service and value for money (when i spoke to some other guests at our resort they were stunned as they had paid significantly more via another company!). thanks again. Hopefully we will be back next year.